Táimid an-bhródiúl as an App, FlexiBuzz, atá againn sa scoil. 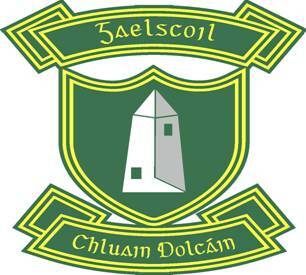 Is áis iontach é agus cuirfidh sé le suíomh gréasáin na scoile. We are delighted with our school App. It will prove a wonderful addition to our website as an effective means of communication. and various other facilities such as Absenses form, Calendar, Website link etc. The FlexiBuzz App is available as a free download for your smartphone, tablet or Personal Computer. Follow these steps carefully. We also have an instruction pdf and some Youtube links at the bottom of the page. 1. Download the FlexiBuzz App. 2. Register with your email address and password. You email address will not be visible to other User App users. Your Password is private and known only to you. Once registered you will only need to Log in from there on. 3. Click on small Menu icon in the top left hand corner. You are now presented with the Menu of boxes. A long list of options opens up. Before you can complete this action, Gaelscoil Chluain Dolcáin will pop up and will load. You are now presented with a list of boxes with different headings beside the school Logo. Each box has a grey icon with a tick symbol. You will notice that all the boxes are not relevant to you. Decide which boxes are relevant and tap the grey tick. You will now receive notices pushed to these green boxes. You may have a child in Rang 4 who does hurling, is in the choir but does not attend the Homework club. 5. Class Passwords. Insert password provided. Back in '' tapping the green inbox will take you to all the available boxes. The first box Whole School is automatically ticked green and available to the whole school. General news for everybody will be available here. In this area it will be possible to respond to a message. More information on this later. Here it will be possible to submit a message to the school regarding pupils' sbsences. Through this box it is possible to submit a communication to the school. You will receive general notifications here of upcoming events, the day, date, location and times. A very helpful Google map is included. This page links directly to the Green Flag page on the school website. This box links directly to the Home Page of the school website.